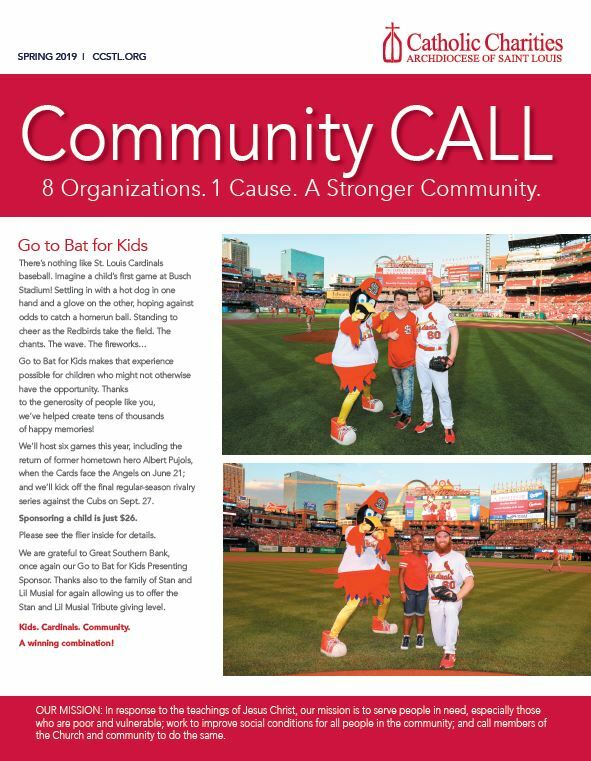 Community Call is published twice per year and mailed to Catholic Charities of St. Louis supporters. You can view the Spring 2019 issue here. Would you like to receive future issues? Please contact Aleisha at 314.256.5955 or amulnix@ccstl.org to be added to our mailing list.